• Play a pivotal role in developing the People Strategy and HR offering. • Work for one of the largest charities in the West Midlands. 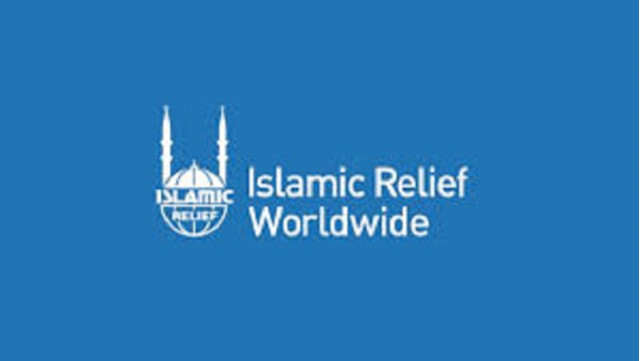 Islamic Relief Worldwide (IRW) is a global humanitarian and development organisation with the aim of making the world a better and fairer place for the three billion people still living in poverty. In operation for 35 years, IRW has active operations in over 40 countries across the globe. Having undergone significant growth in recent years, IRW are committed to ensuring they have the right skills and development in their teams to most effectively deliver the organisational aims in reducing the impact of conflicts and disasters, empowering communities, mobilising people and funds and strengthening the IRW family. The IRW global family includes national offices, affiliated partners and field offices, and subsidiary companies such as TIC International (set up in 1993, recycled clothing). The Deputy Director People & Culture is a pivotal appointment instrumental in the effective delivery of the organisational aims. Inspired by the Islamic faith and values, IRW deliver projects providing those most in need with access to vital services, protect communities from disasters delivering life-saving emergency aid, provide lasting routes out of poverty, and empower vulnerable people to transform their lives and their communities - regardless of their race, gender, belief or political affiliation IRW aims to tackle the root causes of poverty and make sure that the world's most vulnerable people have a strong voice and real influence in both their programmes and advocacy. A leader on Islamic humanitarianism, their research programmes develop distinctive, practical approaches to the key issues that are affecting our world today. The Deputy Director People & Culture appointment presents a superb opportunity for an accomplished HR professional to play a pivotal role in shaping and delivering the people agenda for IRW in line with its values and strategic priorities. You will be a key member of the senior management team, working closely with the Directors and evolving the HR service during an exciting period of growth and evolution for the Organisation. As Deputy Director People & Culture you will ensure delivery of HR strategy with a focus on first class customer service. You will oversee effective implementation of policies and processes. In addition you will support the senior leadership team & CEO as required. • Delivery of the HR service to provide strategic direction and leadership to support HR planning and policies implementation to ensure Organisational objectives are achieved. • Strengthening of IRW's relations with the wider community to consolidate and develop the visibility and image of the Organisation. • Facilitating communication and collaboration between the different parts of the IRW family to ensure maximum impact of the Organisation's work. • Leading on the development, implementation and ongoing review of the department strategy, policies, plans and systems in line with agreed objectives. • Leadership, management and development of the HR team capability to achieve its short and long terms objectives, aligned to IRW goals. • Ensuring the performance and ongoing development and engagement of the HR team. • HR Strategy and policy. • Employee Relations. Keeping up-to-date with all cases and taking a coaching approach, ensuring directors and managers are appropriately briefed, trained and supported where necessary. • Leading on the development and implementation of the people strategy and systems. • Ensuring that practice is consistent across the IRW HR functions. • Advocating good practice for the development, health and well-being of all staff. • Playing a pivotal role as a senior manager, working closely with divisional leadership in contributing to Organisation-wide decision making and continuous learning, change and improvements. • Recruitment and selection - overseeing the development of the recruitment and talent strategy, working alongside the People & Culture Manager and hiring managers. • Reward, Benefits & Performance Management - supporting and reviewing IRW reward scheme UK and internationally to ensure employees are fairly rewarded and in line with the market. • Developing and implementing the annual appraisal system. • Developing and implementing the job evaluation process. • Strengthening external relations through engagement and networking with the wider community. To be considered for the position of Deputy Director People & Culture you must have a proven background as a senior HR professional including experience in change management, organisational development, resourcing, compensation and benefits and policy development and employee relations. You must possess a strong track record of true business partnering and ideally have worked within a large organisation with a passion for value-add HR. Experience of managing people and working as an inspirational leader is key, with a solutions-focused approach and the ability to work through complex issues. This role will suit a proven, senior HR professional with a flexible approach able to work strategically as well as being strong operationally. A commitment to equality of opportunity and promoting diversity is also key. Qualified Chartered or Fellow CIPD or equivalent.